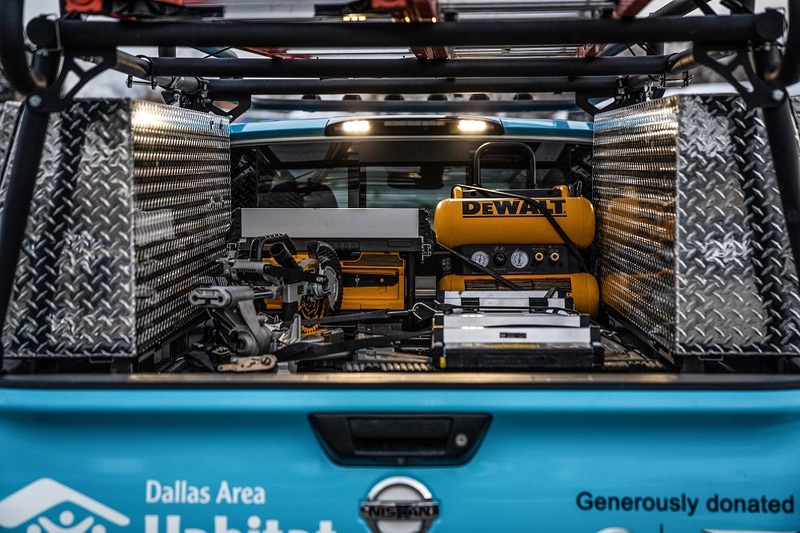 Nissan – as part of a new national Calling All Titans marketing campaign – recently donated a purpose-driven 2019 Nissan Titan XD Diesel Crew Cab truck to Habitat for Humanity in Dallas. Giving back is a signature part of the Nissan business model that directs corporate philanthropy to nonprofits in the areas of education, environmental stewardship and humanitarian relief. Key to that effort is the tens of thousands of hours that Nissan employees, dealers and owners contribute each year in their communities to enrich lives at every level. 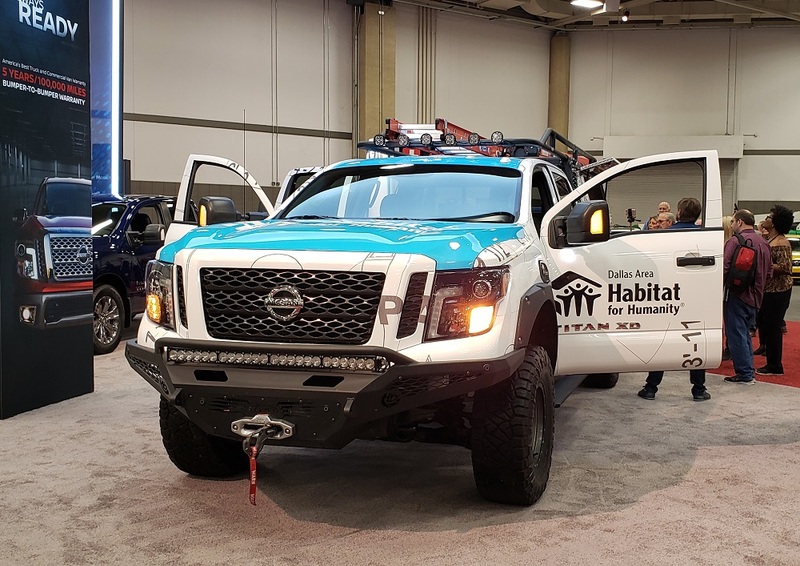 The creation and donation of unique purpose-driven Titan trucks gives non-profits like Habitat for Humanity a unique and distinctive platform for getting their community enrichment volunteer opportunities message into the public arena. 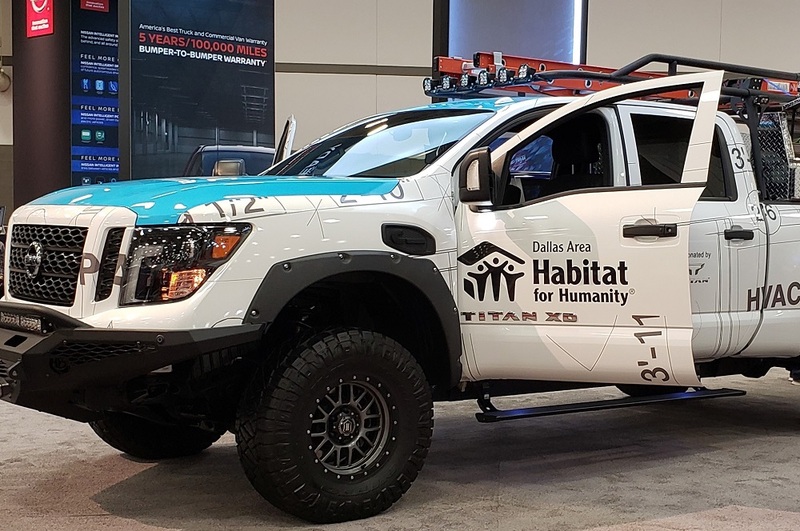 The “Ultimate Work Titan” donated to Habitat for Humanity in Dallas, Texas is the second in a series of three Ultimate Titan builds being created as part of that Calling All Titans campaign. 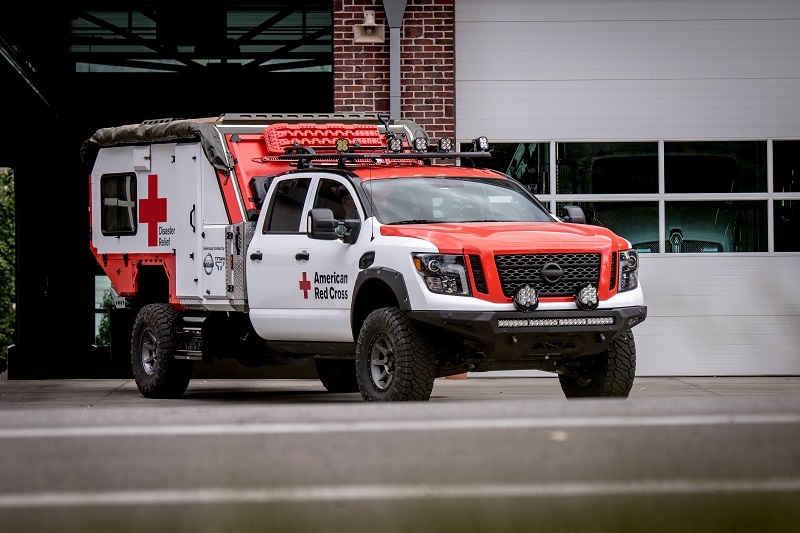 Earlier this year, the campaign delivered an ‘Ultimate Service Titan’ to the American Red Cross in Florida for use in responding to weather-related and other disasters in local communities. 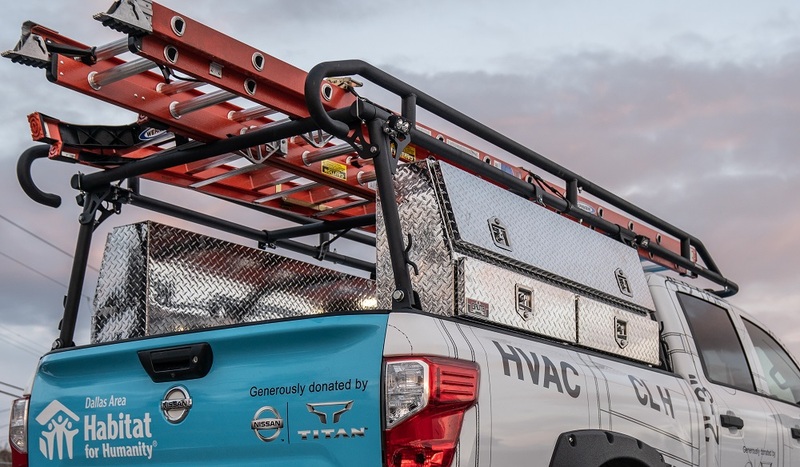 The Ultimate Work Titan features a complete mobile office in its cab and a bed loaded with easy-to-access tools, ladders, lockable storage and other materials necessary for homebuilding. The truck is customized from a regular production 2019 Titan XD Diesel Crew Cab Midnight Edition. 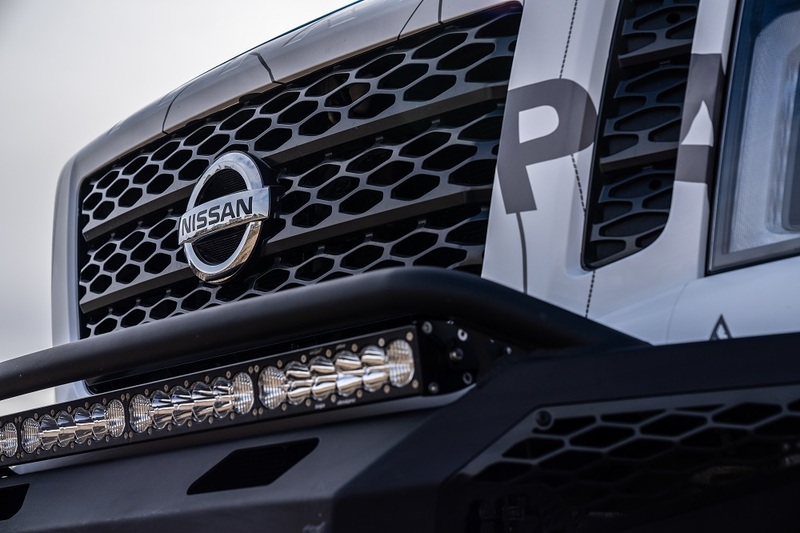 The customization begins with the modification or addition of running gear to ensure that this Titan travel to and operate easily on any job site. It includes the addition of a factory-authorized ICON three-inch suspension lift kit for added ground clearance. The ICON lift kit features adjustable-height coil-over shock absorbers, custom rod end bearings and patent-pending Delta Joints – that not only increases ground clearance but also enhances ride quality both on and off the job site. Other running gear features include Nitto 35x12.5R17 Ridge Grappler tires mounted on ICON Alloys Rebound wheels, Calmini Fender Flares, Addictive Desert Designs protective bumpers, a Warn Industries ZEON Platinum 12-S Winch and Baja Designs exterior lighting for running at night or providing worksite illumination. At the job site, the Habitat for Humanity crew will find their Titan is ready for work. In the cabin, the Habitat for Humanity site team leader has a mobile office featuring a 13-inch laptop computer and printer, a custom crafted desk with file storage an additional power inverter. Anchored to Titan’s innovative Utili-track Bed Channel System is a Bedslide 2000 Heavy Duty that enables easy access to all of the equipment and storage. Connected to the bed slide is a Decked lockable storage system, for secure storage of tools. Commercial class heavy duty lockable tool boxes are mounted along the sides of the bed for additional storage. Inside the lockable storage is a DeWalt toolkit including a table saw, chop saw, chainsaw, air compressor and drill kit. 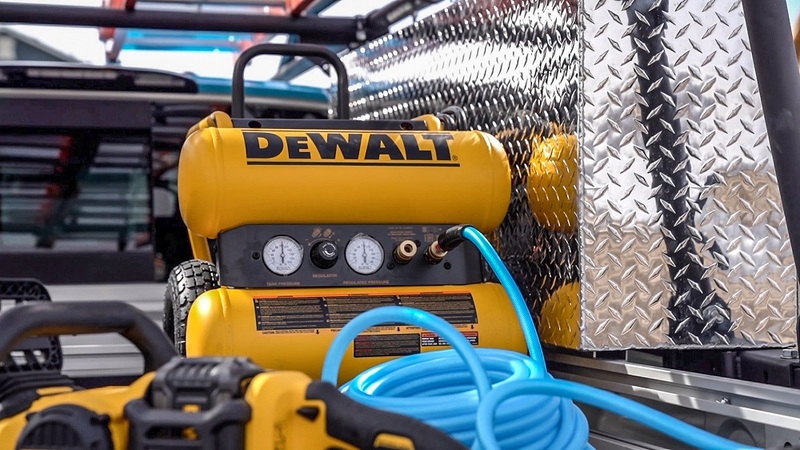 Power for the tools is provided through a Zamp 2,000-Watt power inverter and RIGID Extension Cords enabling use away from the truck. 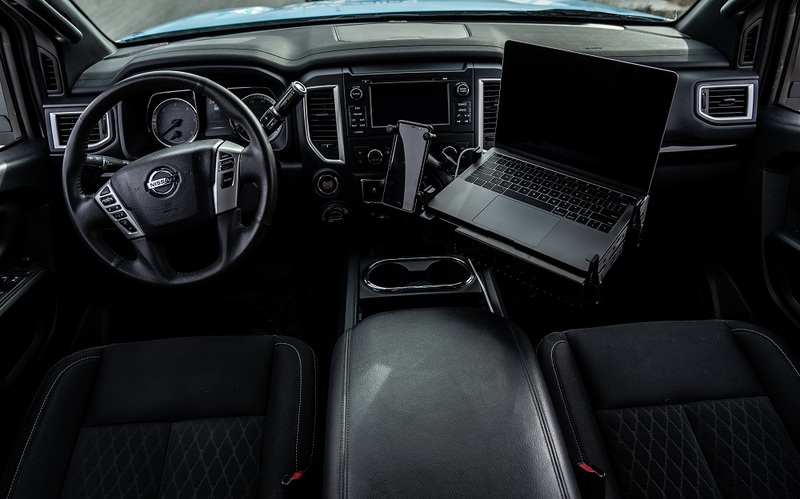 Additional power at the truck is available through the 110-volt power outlet included both in the bed and the cabin of the Titan XD. 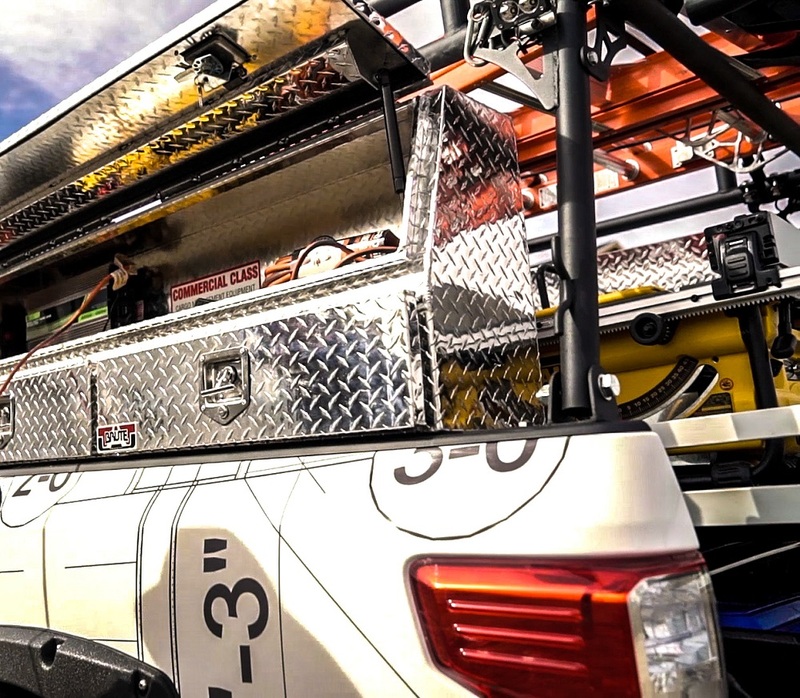 A TrailFX aluminum ladder rack featuring multiple commercial grade ladders, that are easily accessed with the help of AMP bed steps and the Titan XD dampened assist tailgate. 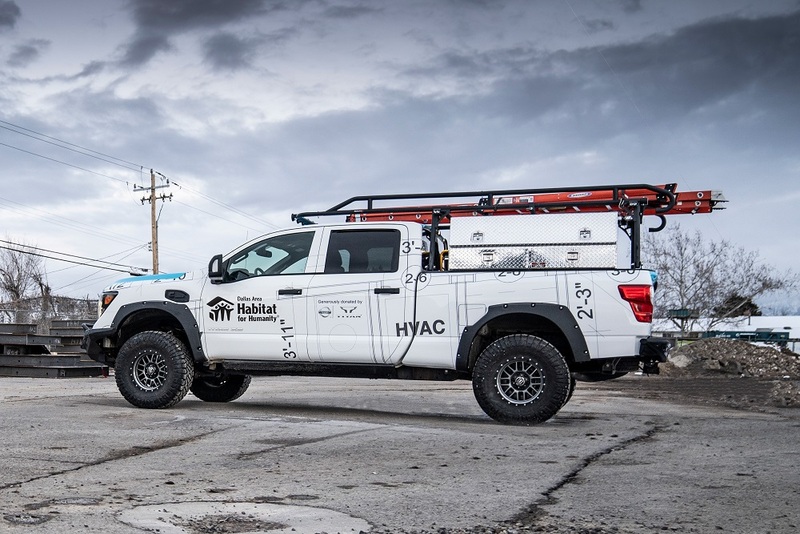 Bringing it all together is the custom wrap on the truck – which is derived from the building plans of a Habitat for Humanity home built in Dallas. 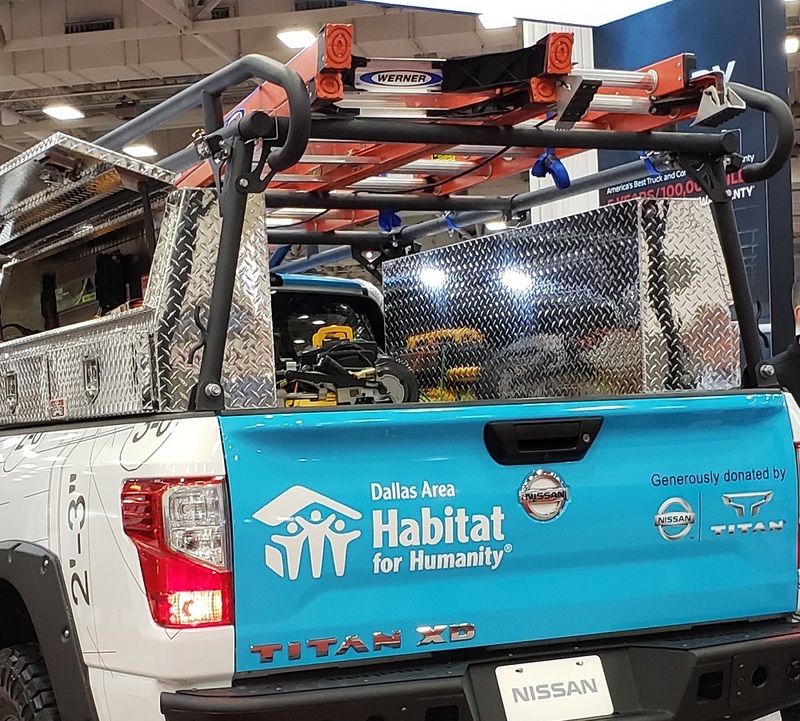 The Dallas Habitat for Humanity Ultimate Work Titan – now on display at the Dallas Auto Show – will go into service building homes for the homeless in Dallas in April. This donation of the “Ultimate Work Titan” is part of a Nissan marketing campaign announced last Fall to celebrate everyday heroes as ‘TITANS of the Community’, ‘TITANS of the Neighborhood’ and ‘TITANS of the Outdoors’. The campaign is partnered with the American Red Cross, Habitat for Humanity and the National Park Foundation – three national organizations rooted in serving the neighborhood, community and the outdoors. For this campaign, Nissan is making a $1 million donation to each organization and creating a ‘one of a kind’ purpose-driven Titan trucks for the program. 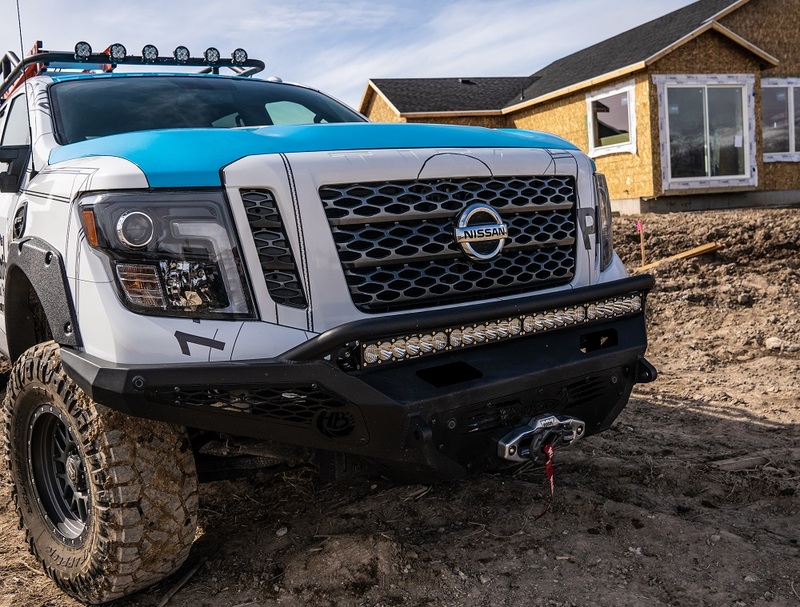 In addition, Nissan will be actively promoting local volunteer opportunities – through Calling All Titans – for Titan owners and enthusiasts to get involved in their community, neighborhood and the outdoors. 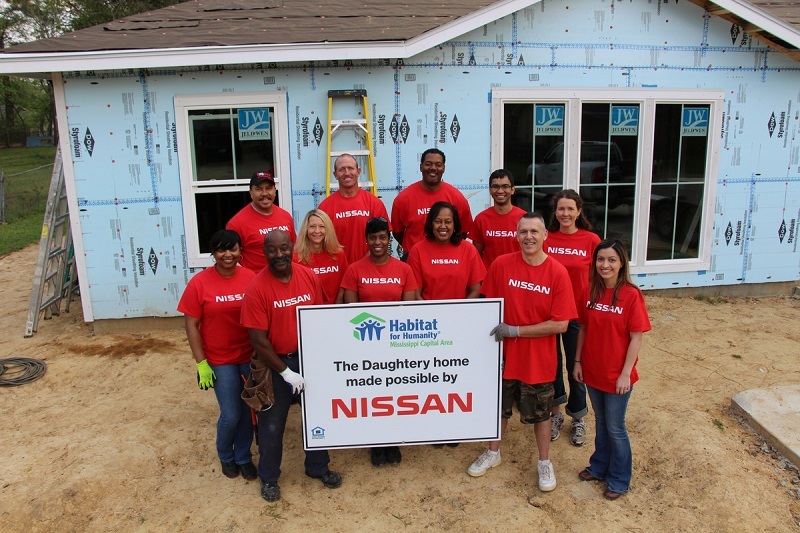 Nissan began its partnership with Habitat for Humanity in 2005, providing a fleet of first-generation Titans to assist in cleanup efforts following the devastation left behind by Hurricanes Katrina and Rita. 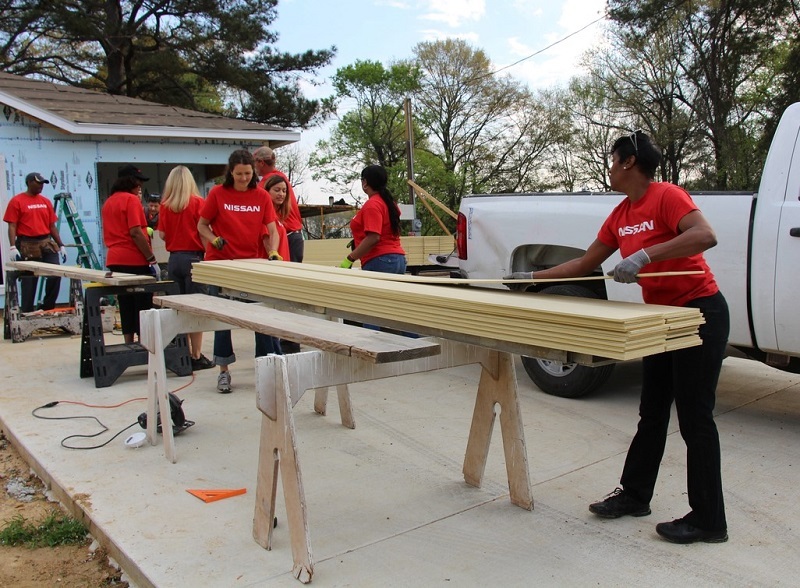 Since then, Nissan through its employee volunteers and business partners have helped build over 100 houses, provided more than 150 trucks and donated over $16.9 million to the organization and its mission for affordable housing.